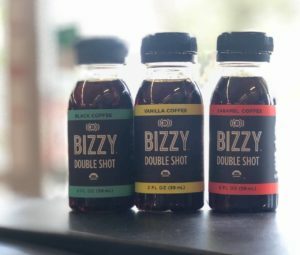 With a passion for philanthropy and close ties to their Scottsdale, Arizona neighborhood, brother-sister team Christopher and Shana Murad are turning D’s Market into a haven for trendy, health-focused products that support charitable causes. Learn how this independent market uses RangeMe to source products with a purpose, while giving back to their community. Like most small business owners, Shana Murad wears many hats, and that includes serving as the primary buyer for D’s Market. When Shana and Christopher inherited D’s Market from their father, Shana started brainstorming ways to expand the market to better benefit the local community. With this goal in mind, the Murad siblings began searching for a way to easily discover and source brands that would support their mission—a search that led them to RangeMe. Since signing up for RangeMe, D’s Market has been able to increase the number of brands and products on their store shelves that help their customers lead healthier lives and cope with dietary restrictions, while also giving back to their local and global community. Along with supporting her community and charitable causes, Shana is also passionate about helping small brands grow. She wants suppliers to be excited about working with smaller, independent retailers like D’s Market, because of all the unique benefits that larger retailers may not be able to offer. 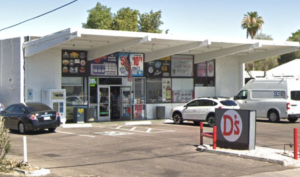 The Murads are excited about the future of D’s Market and the positive influence they can have for their customers and their community by using RangeMe to discover and source healthy products at D’s Market. “It might seem small, but it’s rewarding when people come in and tell us this is the only place they can get the food that works for them,” Shana says. Moving forward, Shana and Christopher hope to introduce a fresh food component to the store while also expanding their healthy options. And, Shana notes, because of the availability of so many products on RangeMe that match their ethos, these hopes could very soon become reality.